Over the last three years, Inmarsat, the ATSB, and the DSTG have been commendably proactive in explaining the mathematical process by which they deduced MH370’s most likely endpoint from the Inmarsat data. The most recent installment, “The Use of Burst Frequency Offsets in the Search for MH370″ by Ian D. Holland, continues that tradition by shedding light specifically on the BFO analysis. All told, it reinforces the impression that the team had good reasons for thinking that the plane would be found in the 120,000 sq km search box. This, of course, only deepens the riddle of why it wasn’t. Since the mean of the BFOs from the 18:39- 18:41Z call attempt are in broad agreement with the linear trend observed in the BFOs from 19:41Z to 00:11Z (for which the BTOs themselves were consistent with straight and level flight ), this supports the finding in  that there were most- likely no major turns after the unanswered call attempt (see (, Fig. 10.5)). This is a familiar idea: that the BFO value at 18:40 indicates that the plane, if flying level, was already heading south at that time, and that the FMT had already occurred. This was long accepted as being almost certainly true. But as Victor Iannello recently pointed out on his newly started blog, if the plane turned before 18:40, then its wreckage would have been found in the SIO search area. Therefore, he proposes an alternative that originally seemed less likely: that the plane was in a steady, 2900 feet per minute descent. Why would whoever was flying MH370 want to descend in such a fashion? Iannello proposes that they might have been setting up for a landing at Car Nicobar airstrip in the Andaman Islands. Perhaps the plane descended for a while — at this rate, getting down from 35,000 o 20,000 would take about five minutes — and then the pilot changed his mind and flew south into the SIO instead. However, as I’ve pointed out before, if the plane flew straight after 18:40 then the geometry of the BTO rings itself suggests what speed the plane was flying at. The reason is that the 19:40 and 20:40 rings are quite close together, and so there is a small angular distance between, say, a 400 knot path and a 500 knot path. This small angular distance means that the intersection of these paths with the 22:40 and 00:11 rings are spaced at very similar distances. The upshot is that the BTO rings themselves imply a speed of about 480 knots. This is not dissimilar to the speed seen on the radar track, about 500 knots. To fly this fast without burning all its fuel before 0:11, 9M-MRO must necessarily have been flying at or close to normal cruise altitude. What Iannello is effectively proposing, then, is that MH370 flew fast and high, then descended, then climbed and flew fast and high again. It is not easy to see what such a dive-and-climb might have accomplished. That is not to say it didn’t happen. But it does run counter to the behavior that the plane otherwise exhibited, which seems to have been geared toward getting where it was going rather quickly. Another thing I found interesting about the paper was the amount of attention given to the question of the anomalous BFO value at 18:25:27. 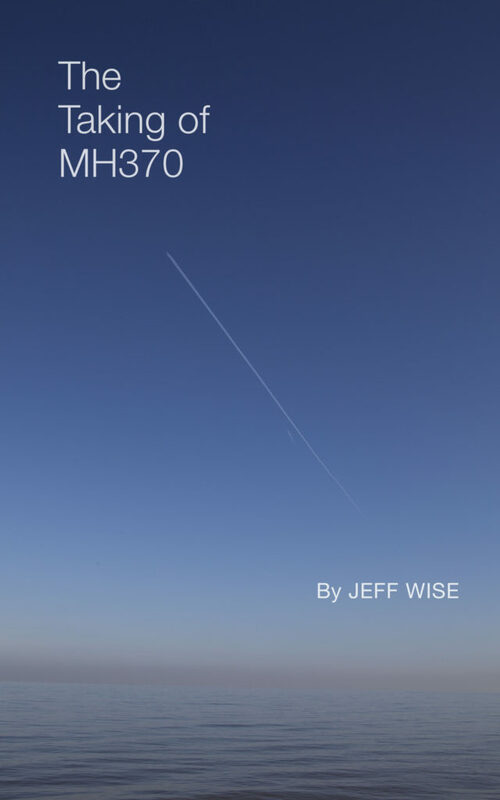 Apparently a body within the official search effort called the “MH370 Flight Path Reconstruction Group – SATCOM Subgroup” produced a whole paper on this topic; it has not been released to the public but Holland refers to it no less than 7 times, as sk999 has pointed out. We’ve known for some time that the ATSB was unable to find a reason for this value. This struck me as suspicious and I wondered if it might be evidence that the SDU has been tampered with. In this paper we learn for the first time that a study of 20 previous 9M-MRO logins found that one similar anomalous value. (Previous reports have stated that login requests in mid-flight are extremely rare, so we can assume these occurred during normal power-up sequences on the ground.) Unfortunately, Holland doesn’t say anything about what the circumstances were. The implication however is that this kind of anomaly can arise innocently. Finally, Holland also touches upon the issue of the rate of acceleration implied by the final two BFO data points: 0.68 g. Again, we’ve discussed this before on this blog, but since Holland revisits it I think it bears repeating. This is an extremely high rate of acceleration — two-thirds of what the plane would experience if it was free-falling in a vacuum. With no engines to hasten its descent, the plane must have been pointed nearly vertically down. With its velocity increasing at such a rate, the plane must have impacted the surface quite soon after, therefore it couldn’t be very far from the 7th arc. My overall impression upon reading this report was: Wow, this is extremely solid work. The DSTG’s analysis of the Inmarsat provides a very compelling case for where the plane went in the southern Indian Ocean. I wouldn’t want to bet against this, I thought. Then I remembered that their predicted area has already been searched and nothing was found. Do you know if anyone has asked the French to have someone on Kerguelen walk the shores in search of debris? Just a guess, but I’d bet there is some debris that washed up there, the northwest coast is uninhabited basically. @Johnny, I haven’t heard of such efforts, but I’ve talked to a fellow who spends a lot of time at another uninhabited atoll in the area, and he hasn’t spotted anything. If you take away Blaine Alan Gibson, it’s remarkable how few and far between these pieces are. Please. Do you have any idea how self serving comments like this are? Give it up already. The debris finds have not been planted. Why haven’t there been more debris coming ashore? There is nothing about this case that follows anything natural causes. If you look at the Helios crash; the outflow valve was only 12% open and the air-conditioning packs were on. The aircraft climbed at 2,500 fpm and the cabin climbed at 2,000 fpm. The 737 max pressure differential is normally around 8.6 psi at cruise. In the Helios incident the best diff hat could be maintained was 1 psi and that was with the outflow valve at 12% open. Imagine the outflow valve at 50% open. If you consider the 777 from start to take off position; the engines are running, bleeds are on and the air-conditioning packs on. The outflow valves are full open and the aircraft will not pressurise until the outflow valves receive a command to pre-pressurise for take-off, ie engines at power and >25 knots. You could depressurise a 777 at altitude really quick by operating the outflow valves in manual, and leave the air-conditioning packs on. @Jeff Wise – there is so much talk about the SIO theory and nothing ever has been found there. In my opinion everyone should try backtracking the debris (all 22 pieces, confirmed or not) and determine the possible crash site. Everything the experts said from day 1 was fruitless. The only thing we really know is that the take off was in Kuala Lumpur + the time, no transponder signal over South China Sea and where debris got washed up and we no approx. when it washed up. I think the focus needs to be towards what we know and not towards the most likely scenario. @SirTrouble, Interesting point. It turns out that drift modeling by itself is not very useful in narrowing down a potential search area, just because there is so much randomness inherent in the process. However, there is other information about the debris, such as the makeup of the marine life living on it and the exact circumstances of its breakage, that could be useful but has not been released by the authorities. @Jeff Wise, the marine life data of all debris could paint possibly a picture of the true search area. Someone else and me played a little bit with adrift.org.au and we compared screenshots that we made on https://huddle.github.io/Resemble.js/ its not accurate i know that but the more often you start over and compare the results it shows the same thing. But because it’s not accurate i would like to see professionals/experts try with accurate tools and see what their results are. As long as we don’t have the marine life reports we should give this maybe a shot. You make a good point I try to get more attention on for a long time. The latest drift modeling has established itself as quite usefull imo. It narrows the search area between ~28S and ~32S. And this area does not conflict at all the other data. It affirms it actualy these days. The overall kind of debris and the kind of damage contradict a high speed dive entry in the water. Everyone seems to have a reluctance to just look at this indications and hang on solely to the data and final BFO-data. Why? We believe numbers better than these days then real emphirical evidence? I agree the debris is not going to tell us a specific location. No lat/long coördinates. But till now it has done a better job than all the speculations on the Inmarsat and radar data to pin point an area. The effort on VictorI’s blog is really admirring, digging in those Inmarsat and radar data. It’s very important to press on new information. And maybe something new comes out. The re-logon data at and after 18:25 being the result of a power-off of the SDU for a lenght of time from the Holland paper is quite important f.i. Something similar could possibly explain the final BFO’s occuring at 0:19? Anyway, we cann’t affort to ignore the debris and drift-analizes compared to the Inmarsat and radar data. We have to try to bring them more aligned. @Jeff. It took me a single day walking down 1km of beach at Ras Kanzi in Tanzania and peering behind the rocks to find a piece of what looks very much like internal panel fragment (and bears strong resemblance to pieces that Blaine found). I have posted about this earlier at Reddit so I shall not belabour you with the detail of this rather insignificant piece. I later made enquiries at a nearby village (Buyuni) that has a reputation for assembling flotsam and walked the beach without result (though it was heaped with organic detritus). After viewing pictures of what we were talking about, a fisherman there described to me a piece that he had found, taken the bolts out of and tossed away. In short, my own experience is that if you look hard enough in a likely location it will not be too difficult to find more bits. Apart from Blaine, I don’t think anyone else is really seriously doing so. @Paul Smithson, Could you share a link? If you did find a piece this is highly significant, because until now no one has found a piece by deliberately looking, unless as part of a party with Blaine Alan Gibson. Also I should point out that airplane parts generally don’t have bolts, but rather rivets, which cannot be so easily disassembled and taken out and which are not so potentially valuable for re-use. Interesting and I think relevant info on plane breakup in high speed crash. (Just trying to see if this comment gets through – browser’s been playing up for a long while now). Interesting and I think relevant on aircraft hi speed crash. Wow! Finally works after so many weeks of trying! (What if… just, what if…)!?! Assuming a high speed crash into the SIO, WITHIN the area covered by the search, what is the probability that the search would have located it? i.e. If I understand/recall correctly, the sea floor search was conducted primarily (entirely?) with a towed scanning device. The sea floor was deep and, I think, uneven. I presume most of the search was conducted with a single pass by the towed device (for efficiency), with some overlap at the margins, and presumably some repeats here and there. But if we assume most areas within the target zone got a single pass, is it really THAT high probability (90%+, or 99%+, or whatever) that debris would have been detected accurately? I know very little about this stuff. But is there a non-trivial possibility that MH370 wreckage *is* roughly where it’s expected to be, within the search zone, and got missed? @Phil, The ATSB addressed this question in their most recent report. They calculated that there is only a 1 percent chance that the wreckage came to rest in an area too rugged to be detected by their equipment. “what’s transpiring over in KL”…..
(2) Sloppy KL airport security that allows assassination of the estranged Kim Jong-nam and escape of suspects to NK embassy. Indirectly related to 9M-MRO but surely not directly. It may be interesting to revisit with that fisherman. as bolts and misnamed as such. obviously distinguishable from well polished, or stainless, steel. product ID’s marked (be they titanium or otherwise). I’m also interested in what is found by @Paul. Share pictures please. I agree about if someone is looking specificcaly with knowledge, changes are much greater you’ll find something. Blaine Gibson spend his first year looking in areas (Birma, Maldives etc.) that were not connected to African shores. This came much later. He also evolved with developing facts and insights. His ‘luck’ can be atrubated to his knowledge where to look over time. Maybe he is playing a fals game for whatever reasons. But still we have this debris he found that needs to be explained. Thats what counts not the person who found it. And Jeff, many bolts are used all over in a B7777. Many are Titanium. Highly worthy and if not reqocnized as such useable in other ways no higher class American would ever think of. Those Africans won’t spill a single bit that could be of any use or profit. If you’ve been there on their ground you should know. Closing comments here, please add your thoughts to the most recent post. Thank you.